This is the Official Borough of Edgewater GoFundMe Fundraiser page. All funds will be allocated to victims of the fire through the Borough of Edgewater. 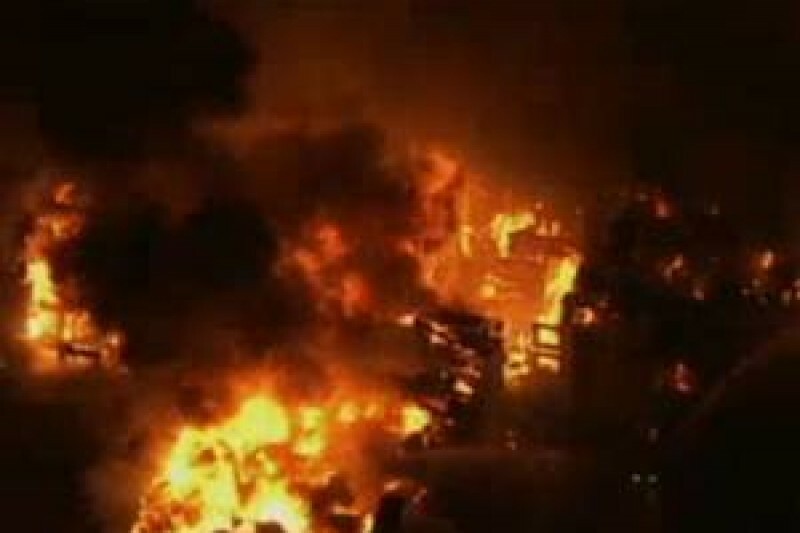 A massive blaze destroyed the Avalon apartment complex on Wednesday into early Thursday morning. Edgewater Mayor Michael McPartland declared a local state of emergency which resulted in schools closed and roads restricted. No serious injuries to civilians or firefighters have been reported. About 500 residents are permanently displaced and about 520 people from surrounding buildings were also evacuated. Help us bring hundreds of displaced families the basic needs of clothing, toiletries, meals, etc. The Borough of Edgewater wishes to distribute the funds to the victims as soon as possible. The Mayor and Council thank you for all your support. This GoFundMe link will no longer accept online donations starting on Thursday, January 29, 2015 at 12pm Noon. Thank you again. Wow we are at $55,000! Again thank you so much to all of you for your generosity. Thank you for your overwhelming support. Dear all, on behalf of the Mayor, Council Members and all the employees, volunteers and residents of the Borough of Edgewater, thank you for your generous donations. This is the only OFFICIAL GoFundMe page.